A beautiful day for a neighbor, would you be mine? Hello Neighbor looks like a creepy game, but the best part is that it looks like a specific kind of creepy game. It's about breaking into this guy's basement because he's probably hiding bodies or illegal contraband or government secrets. Who knows! But he's up to something and you're gonna find out what. But, with a little perspective shift, maybe he's not the creepy neighbor. Maybe it's you who's the creepy neighbor. Finding ways to distract him so you can rummage through his basement? That's egregiously nosy, brazenly overstepping the line and landing somewhere near felonious. I can sympathize. My neighbor is a big-time busybody. He has his finger on the pulse of the community, always knowing what everyone's doing. He might be reading this post right now! (Hi, Pete!) It's mildly disconcerting and annoying, but probably not troublesome. One time he asked if I worked for the CIA. I told him no, but that I do something similar. Anyway, I doubt he's getting into my basement anytime soon. If he does, he'll just find all the amiibo I damned to a life of storage. Hello Neighbor isn't new. 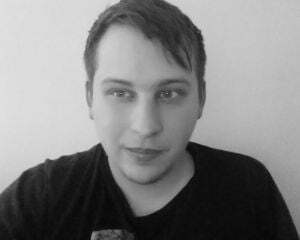 Jordan wrote about it last year when the developers were trying to Kickstart it. That campaign failed miserably, but all's well that ends well. 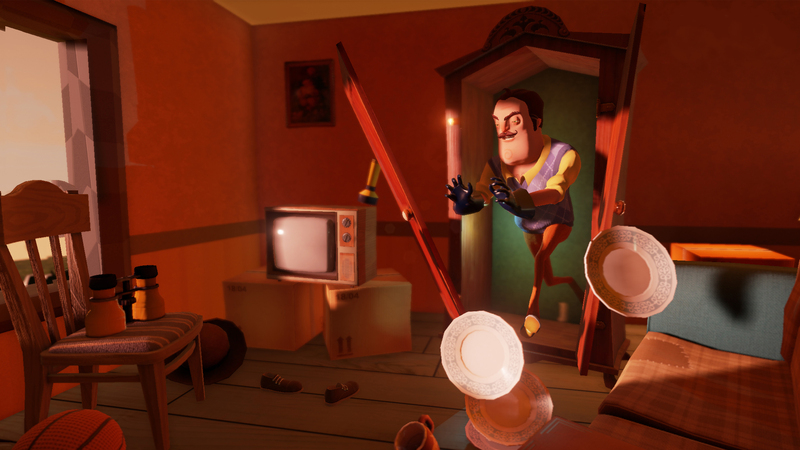 TinyBuild decided to publish it, so Hello Neighbor should eventually see the light of day. It's good to hear that it's not getting shoved in a crate and left to rot like the neighbor at the end of this trailer.